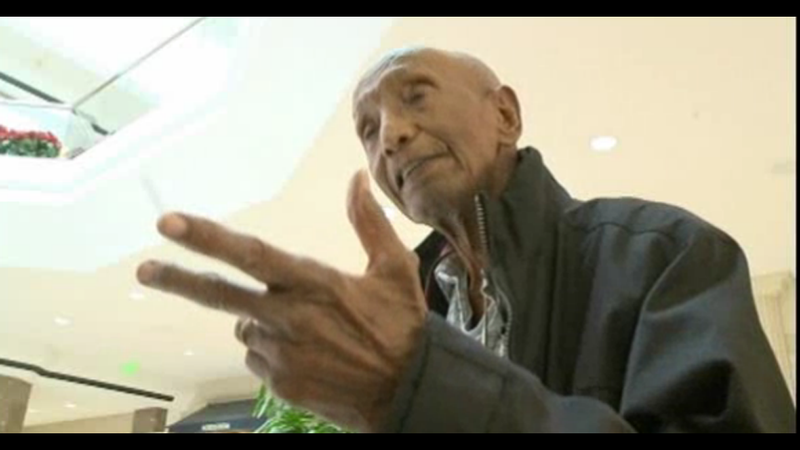 Mekey Yetashawork, a retired pharmacist in Denver, walks the perimeter of his local mall daily. He credits it for keeping him alive to 103 years old, and I totally believe that. Walking is the best! If you can physically do it, the health rewards are great, and the risks are small. Plus, you get out in the world and strut your stuff. What could be better? "Moving forward is Mekey's philosophy, even when he has to sit!" "This retired pharmacist has taught himself ten languages, yet the language he probably speaks best is with his body." "You see, at this age, all his friends know him and love him because of his age." So, how does Mekey do it? He eats once a day to let his stomach rest, doesn't care what you think of his crocs, prays a lot, and is always Yetashaworking it.